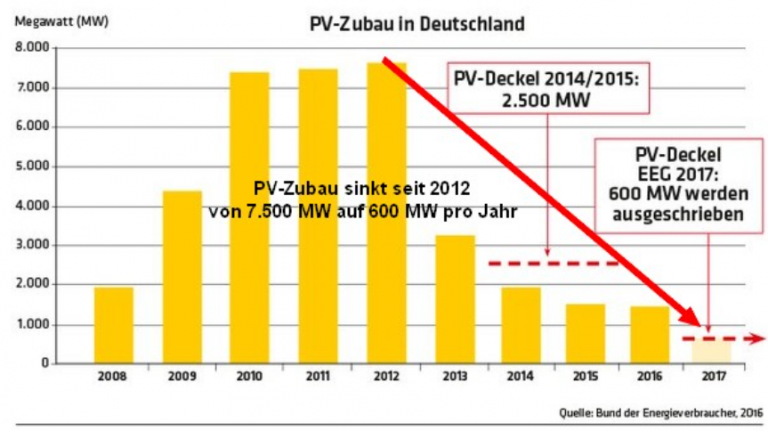 Almost every single major German producer of solar systems has gone insolvent. Investors are flocking away in droves because of cancelled subsidies. New additional installations are hardly taking place. The first installations are now being taken offline and the share of solar power in Germany has fallen below 6 percent. 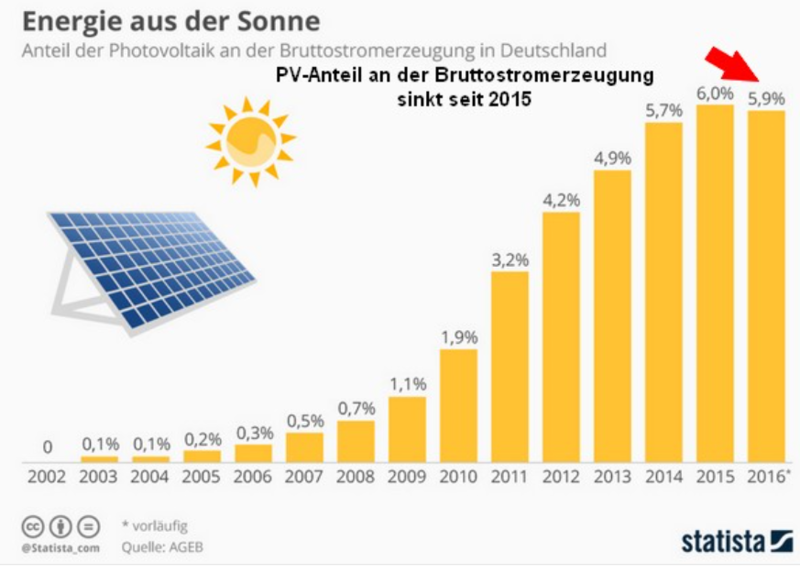 Michael Kruger at German skeptic site Science Skeptical here writes about how solar energy indutry in Germany has disintegrated spectacularly. What follows are 4 charts that show us some shocking trends, and how in reality the German solar industry has seen a bloodbath that can be rated as one of the worst in a long time. 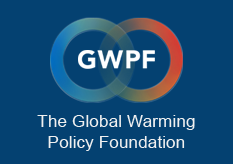 The reality is that Germany’s green revolution is far from being a model for the world. The chart above shows the share of solar energy of total electricity production peaked in 2015 and the trend has since levelled off. In the next chart, the rate of the addition of new solar power production systems has plummeted. In 2012 over 7000 megawatts of new solar capacity were added. German solar boom crashed into a wall. Chart: Bund der Energieverbraucher. 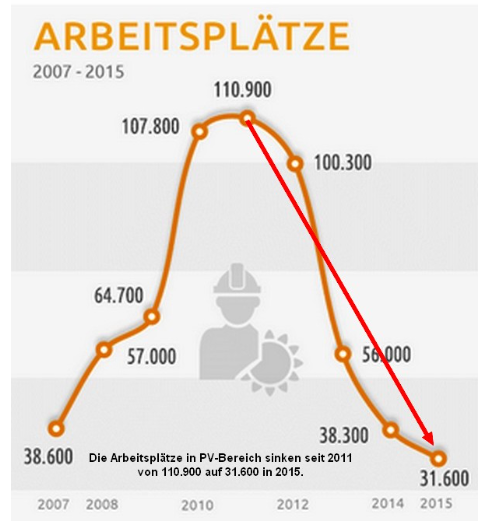 Finally the fourth chart depicts the number of jobs (Arbeitsplätze) in the German solar industry. Here we clearly see a bloodbath.